Creating the perfect diagram that allows one to communicate an idea effectively is so important for the scientific process. The collection of images provided by Motifolio makes that important task so much easier. 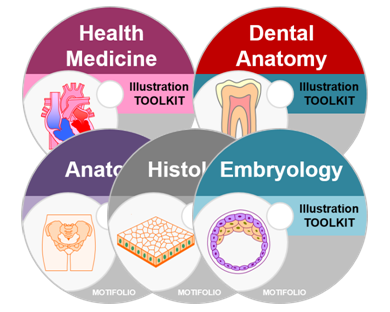 The images themselves are elegant and easy to work with and the collection contains most of what a biomedical scientist would like to include in a drawing. 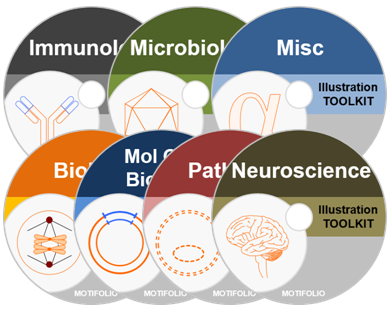 The Motifolio images are incredibly versatile and flexible, allowing faculty to create unique images in support of both research and pedagogy. Students benefit greatly from the use of such images in my behavioral neuroscience courses and I believe that these images enhance their learning of the material. Thank you for providing such presentation toolkits that have such high quality graphics, and are so easy to customize. I have been doing medical presentations for over decade and have never come across anything close to what you offer. I also like that you periodically upgrade and add to the toolkits. Keep up the good work.